A Thanksgiving tradition for more than 90 years, this parade is one of the most famous holiday events in the world. 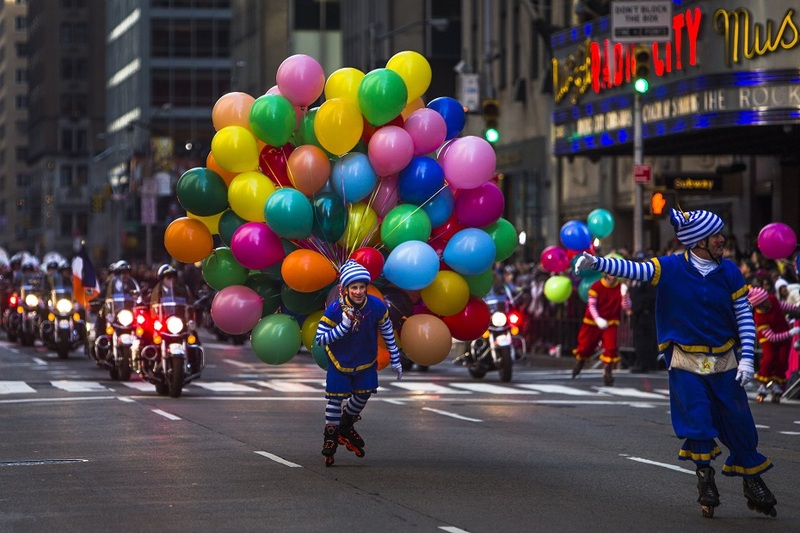 Millions line the streets of Manhattan to watch celebrities, Broadway performers, clowns, marching bands, floats (including Santa himself riding a reindeer-powered sleigh) and the true headliners of the day: the all-star roster of floating balloons—Snoopy, Hello Kitty and friends—flying high above the route. The procession heads south down Central Park West from 77th Street, east along Central Park South to Sixth Avenue and then south along Sixth Avenue to West 34th Street, ending in front of Macy’s in Herald Square. Also, the balloon inflation along the perimeter of the American Museum of Natural History has become its own beloved Thanksgiving eve tradition. 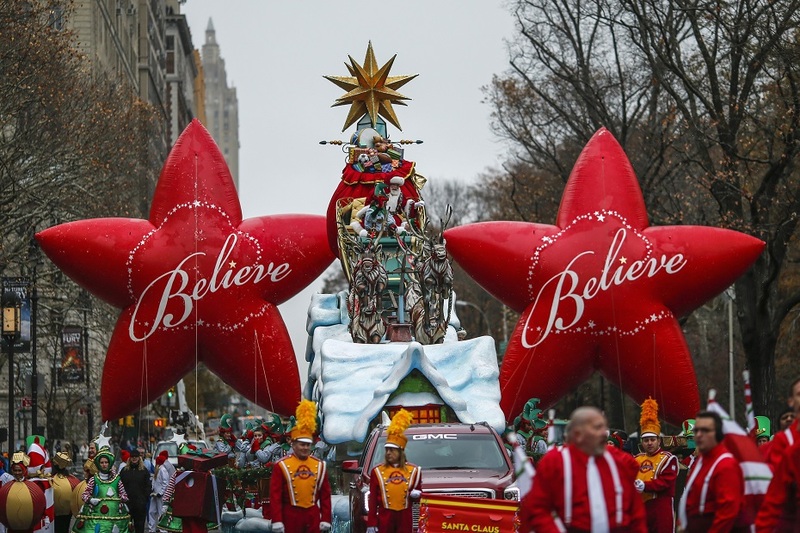 Macy’s Thanksgiving Day Parade has been the official kick-off to the holiday season! The spirit of that small group of 1924 Macy’s employees lives on today with the participation of more than 8,000 volunteers on the famous 2 and a half mile march through Manhattan’s streets! There are three recommended stretches or spots on the route for watching the parade: the first leg along Central Park West, Time Warner Center and, finally, along Sixth Avenue between Central Park South and 38th Street. The section from 38th Street to Herald Square and Macy’s department store is the telecast area and closed to the public. While there is limited space for viewing along the south side of 34th Street between Broadway and Seventh Avenue, the sight lines are seriously compromised by cameras, lights and scaffolding.